Do you have 45 seconds and want to know what at least the first floor of Portland’s landmark Time and Temperature building looks like? Well, you’re in luck. 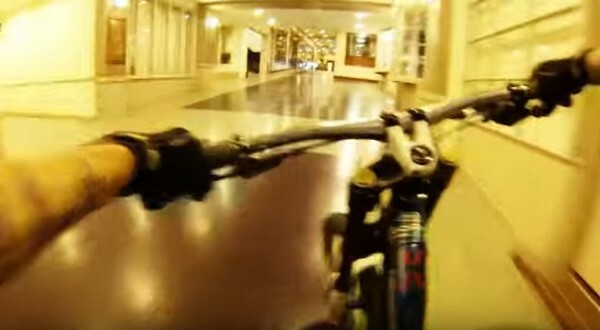 In the 2014 YouTube video below, an intrepid downhill bicyclist takes a quick shortcut through the Congress Street building and videos the escapade using a portable GoPro camera. In case you missed it, the iconic Time and Temperature building is under new ownership now after its previous managers failed to maintain a certain minimum occupancy rate.